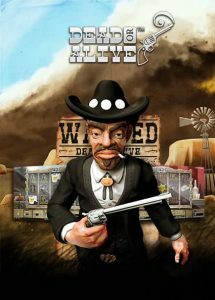 Dead or Alive gets a second life - The popular slot gets an update! Not long after the popular iGaming conference, ICE in London, We’ve learned that NetEnt had planned to release a sequel to their hit game Dead or Alive! Ever since the news went public, everyone is feeling the hype of this upcoming release. And the good news is that we’ve recently had a chance to get a sneak peek at Dead or Alive 2. So, does it live up to the expectation? To be frank, the release of Dead or Alive 2 shouldn’t surprise many. We’ve heard NetEnt CEO Therese Hillman say it time after time that in 2019 the company would focus on what they do best. Plus, they’d innovate with moderation. And surely releasing a sequel to an all-time favourite is in line with this strategy. To sum up, the new Dead or Alive 2 video slot is also an extremely volatile game. Just like its predecessor. Which means that even if players bet small, they’ll still have the chance to pocket massive wins. In fact, NetEnt confirmed that the max win on Dead or Alive 2 is over 100,000 times a player’s stake! And the RTP of the game still is above average at 96.8%. All avid casino players have tried Dead or Alive once or twice in their life. This online slot was at the top of the most-wanted game ever since it went live in 2009. But let’s be frank. While the game offered a lot to players with its Free Spins with Sticky wilds. Graphically speaking, it wasn’t the most innovative one. But the new Dead or Alive 2 promises to change history! In fact, the sequel not only has exceptionally well-designed symbols and bonus animations. But this slot also offers 3 different Free Spins feature. And let’s not forget to mention that the new game also offers multipliers up to 16x. Dead or Alive 2 video slot will go live on all casinos mentioned on casinoservice.org/uk/ on April 24th! So make sure to visit them to check out this new game which could well be an epic release!